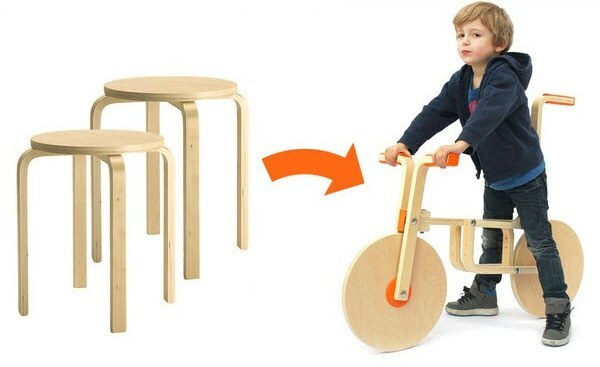 I vote this the coolest Ikea hack yet. 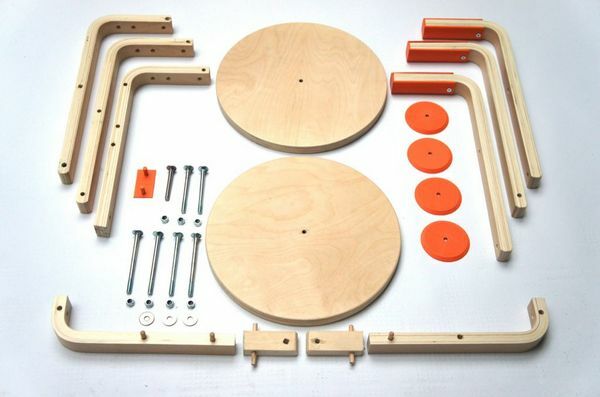 I am completely enthralled by Ikea Hackers, a website devoted to repurposing Ikea designs. I’m equally impressed when I spot a reformatted Expedit or Trofast on Pinterest – people are so clever! 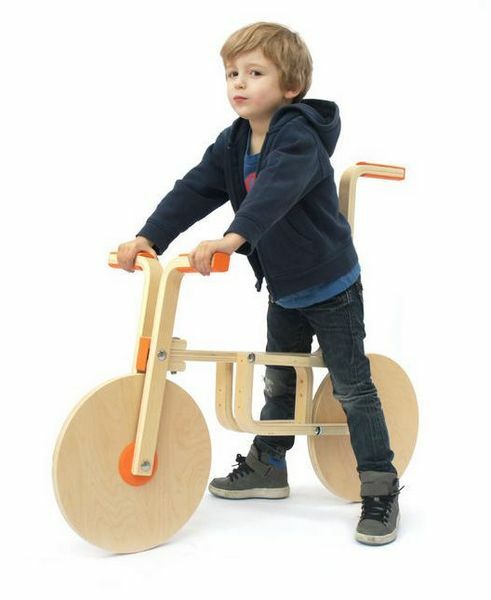 Andreas Bhend and Samuel N. Bernier took two Ikea Frosta stools and turned them into a pedal-free bike – the Draisienne. What sets this hack apart from the rest are Bhend and Bernier’s detailed instructions that mimic Ikea guides right down to the same fonts. Very clever! Now it’s important to note that you will need a little more than your trusty Allen key to complete this hack. Bernier works at Le FabShop, a 3D printing firm in Paris, and created a number of custom parts on a 3D printer for this project. 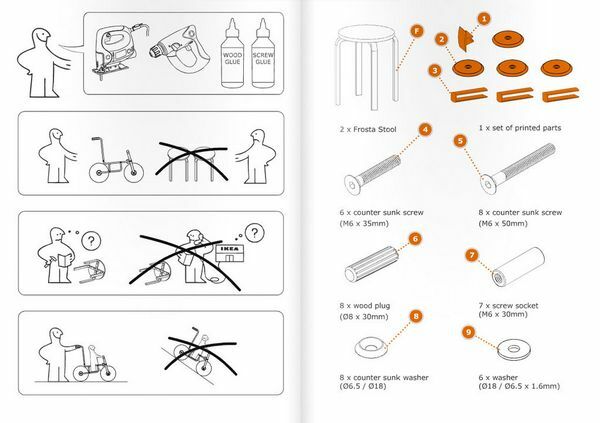 Don’t fret about needing access to a 3D printer – if you’re desperate to turn your Frosta stools into a bike, you can order the necessary parts from Le Fabshop (in any colour that you like). The full guide to making the Draisienne is available at MakerBot. While you’re there, check out the Luge hack.